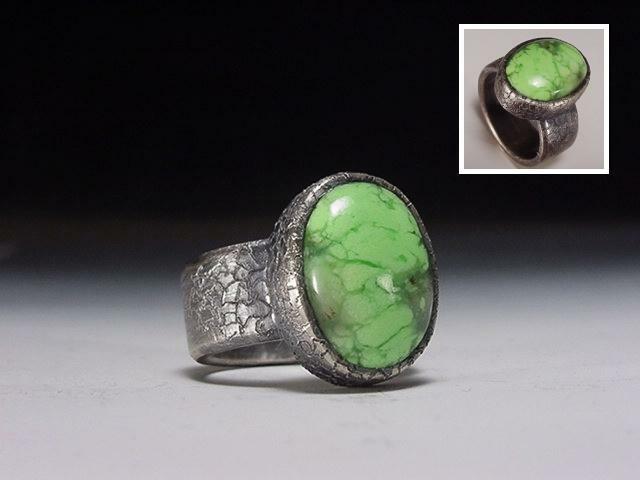 Bright green webbed Australian Gaspeite set in an oxizided ring. Heavy bezel and engraved "cracking". This ring can also be custom made to order.